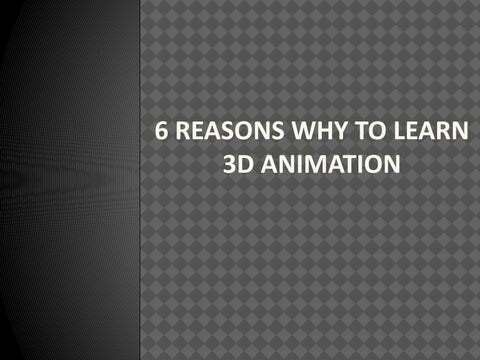 6 Reasons Why To Learn 3D Animation 1. 2. 3. 4. 5. 6.
the Animation, process images are manipulated to look as moving images. traditional animation process images are drawn by hand on celluloid transparency sheets to be photographed and exhibited on film. most animation is made with computer-generated Imagery. animation can be detailed 3D animation while 2D can be used for stylistic reasons or real-time rendering. are many reasons why you should learn 3D animation. we are going to explain to you the most important reasons to get up to speed in 3D animation and a great way to get started. animation is the backbone of all major shops in the business. believable characters takes creativity but also a technical skill for that you need to master the 3D Animation course. animations play an essential role in filmmaking. are still used in making a film after that teams of 3D animators take over. create realistic, exciting visual effects you will need to know how to combine live-action footage and computer-generated imagery (CGI) to create special effects. 3D animation means you can create eBooks, design immersive live shows and make animated graphics and videos for websites engagingly and creatively. 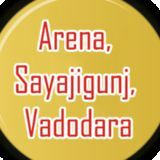 create a artistic game design, you need to know the current state of the art for that you need to master 3D gaming designing course. designers master all 3D animation tools like Adobe Photoshop, Autodesk 3ds Max and Maya. produce openings, credits and other scenes for broadcasting than you will need to acquire 3D animation broadcast prime course.